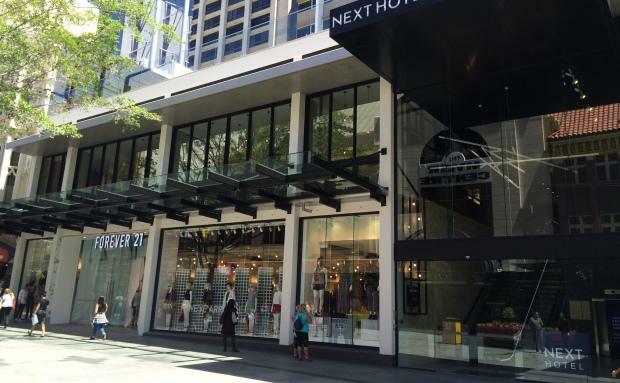 SilverNeedle Hospitality has sold its hotel and retail mixed-use property in Brisbane’s Queen Street Mall to Challenger Ltd for $133 million, after buying the asset for $57 million less than three years ago. The completely refurbished hotel and retail asset, located at 72 Queen Street Mall, is the first international launch of the NEXT Hotel brand and the Australian debut of global fashion retailer Forever 21. Both tenants have 10-year leases. Queen Street Mall is one of Australia’s busiest pedestrian malls, with over 26 million visitors annually. Dean Dransfield of Dransfield Hotels & Resorts and JLL’s Head of Retail Investments – Australasia Simon Rooney, together with JLL Hotels, advised on the sale. Mr Rooney said this type of large and refurbished CBD asset was in high demand in Australia. “CBD retail markets are going through a transformational phase, welcoming a new wave of international retailers that are expanding into the Australian market," Mr Rooney said. “Availability of suitable sites has been a barrier to entry for some of these international tenants that typically require larger stores than their domestic counterparts, and are looking to secure flagship retail locations such as this. "“We are in the initial stages of a recovery in retail trading conditions and it is fuelling investor confidence in the sector. "Director of Dransfield Hotels & Resorts Dean Dransfield, said the property was ideally located to attract buyers. “With its state-of-the-art technology and design, Brisbane’s NEXT Hotel is in an ideal position to attract business and leisure visitors," Mr Dransfield said. The landmark hotel and retail property has undergone an approximately $50 million renovation to take advantage of the prime location for business travellers on weekdays and leisure markets after hours and on weekends. It is located close to key CBD demand drivers including the recently refurbished Brisbane Convention and Exhibition Centre, and several of the city’s upcoming major infrastructure projects. The property comprises almost 2,000 sqm of prime retail space leased to international retailer Forever 21, and a 304-room, 4.5 star NEXT Hotel with an average room size of approx. 28 sqm. The hotel component features a large club floor with an outdoor pool overlooking Queen Street Mall; and over 1,300 sqm of food and beverage, recreation and meeting facilities. This new flagship NEXT Hotel is based on SilverNeedle’s market intelligence, having operated the Chifley Hotel, previously located in the building, for over 15 years.